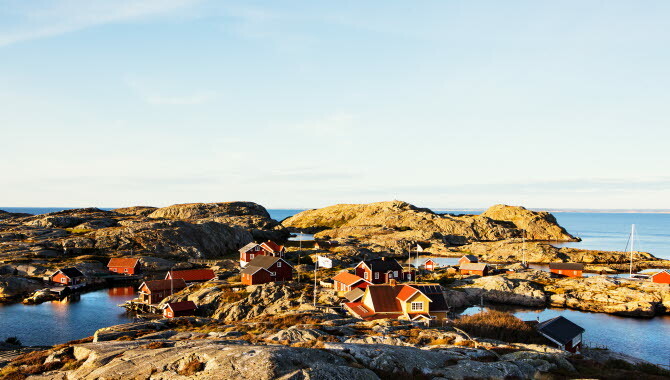 Below we’ve gathered some shellfish packages from around Bohuslän. Here you join a local fisherman on a tour through the beautiful archipelago. Along the way you get to empty langoustine pots, or harvest oysters and mussels. The trip is combined with great accommodation and food, in a magical archipelago setting. It’s an unforgettable experience. Some say the oysters from Grebbestad are the finest of all. If you want to learn more about them, book an oyster tasting or an oyster safari. You’ll find out more about this famous delicacy, and how to open them effectively and safely. Towards the summer, you can join in on a crab and mackerel safari. Aboard the boat Tuffa you head out, to haul up the crab pots. En route you can fish for mackerel with a handline. The tour takes about two hours. 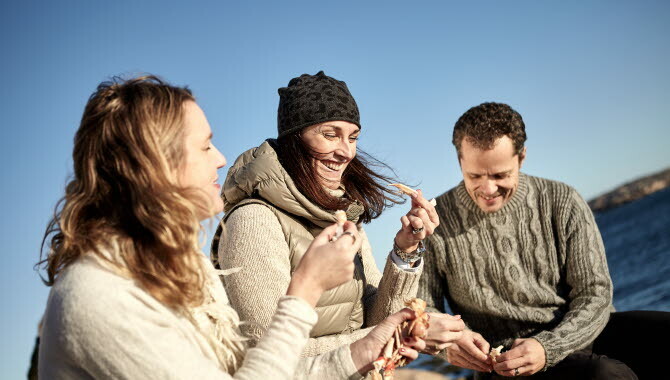 Shellfish, sparkling wine and a fishing tour – that’s the combination in the shellfish package at Marstrands Havshotell. To start the day, you join a local fisherman on a shellfish tour around the islands off Marstrand, and the traps are emptied. Back at the hotel you relax in our spa, and later in the evening it’s time for a shellfish dinner. 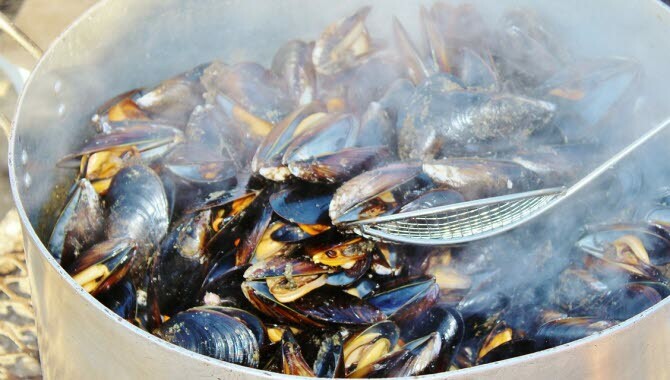 Gullmarsstrand’s shellfish package offers comfortable accommodation and great food, together with shellfish tours: the oyster and mussel adventure and the langoustine safari. Both tours are scenic and exciting; oysters and mussels are harvested, and langoustine pots emptied. 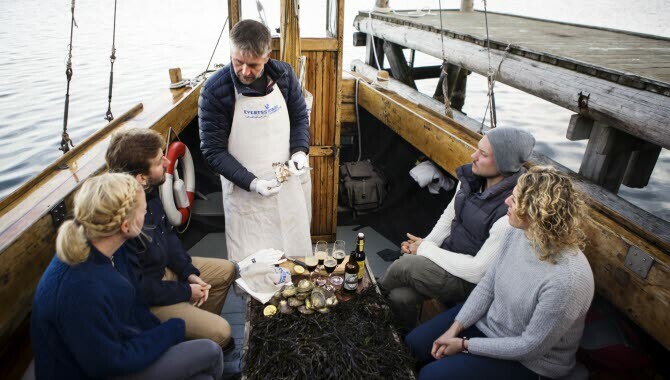 At the end of the tour the catch is cooked and tasted on board the boat, or by the boathouse on the islet of Käringeholmen. Awaiting you back at the hotel is a relaxing spa, and then a two-course dinner in the restaurant. 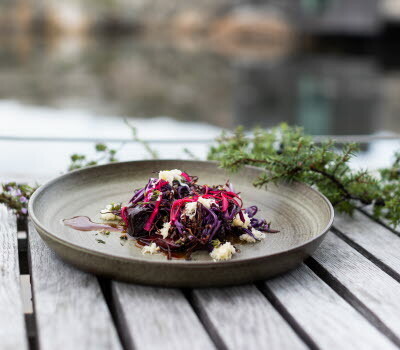 Stora Hotellet in the village of Fjällbacka offers a shellfish package in a beautiful setting, where for dinner you can enjoy shellfish right off the boat, then have a great sleep in the hotel, before it’s time for breakfast with ocean views. If you want something more active, book a langoustine package. 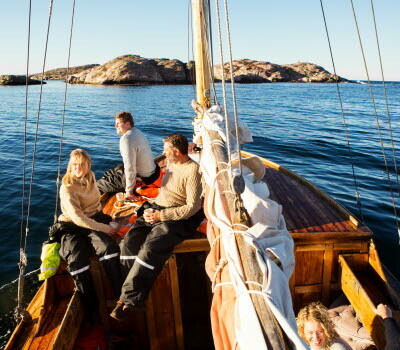 This includes a three-hour langoustine tour in the archipelago off Fjällbacka. At the end of the tour the catch is boiled and tasted. In the evening you are served a three-course meal where the langoustine is the star of the show. 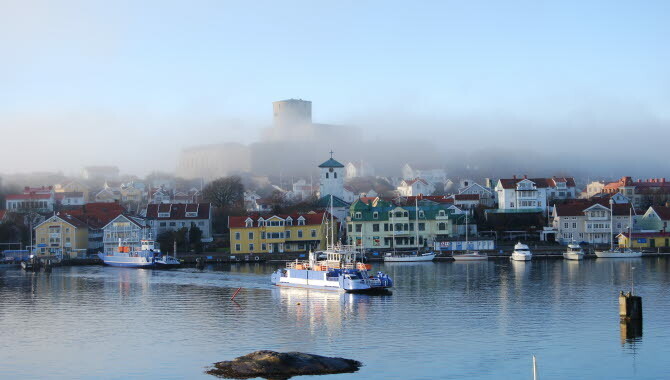 You start the day with a boat trip from the village of Hamburgsund, passing through the beautiful archipelago, with your final destination the islands of Väderöarna. 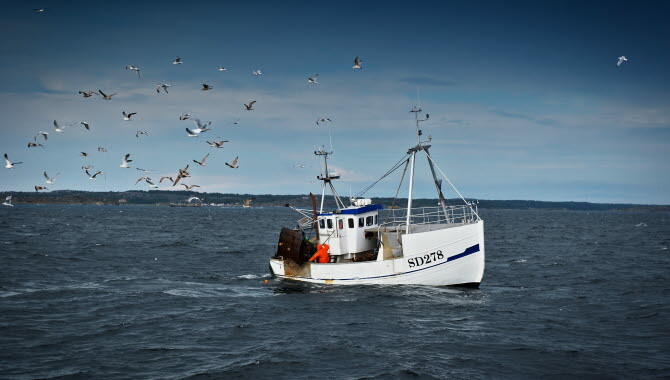 After lunch you head to sea again – hauling up langoustine and lobster pots. Next it’s time for a ‘granite sauna’ and/or (depending on time of year) a wood-fired hot tub. In the evening you get a three-course meal, with langoustine or lobster as the first course. 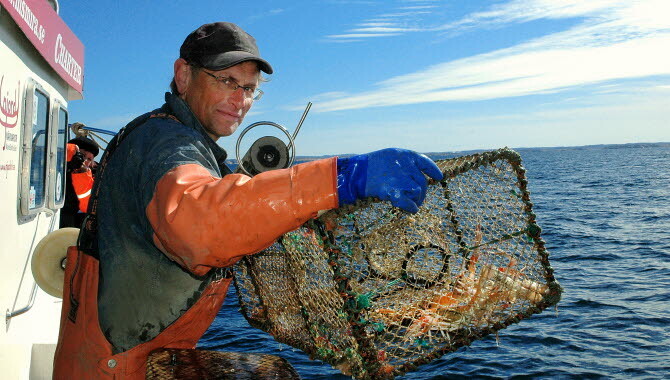 On Slipens Langoustine fishing package you can go out to sea on a two hour tour to fish this delicious seafood. A picnic basket to enjoy on the trip is included. Back on land there’s a sauna and jacuzzi waiting, and anyone brave enough can even have a dip in the sea. 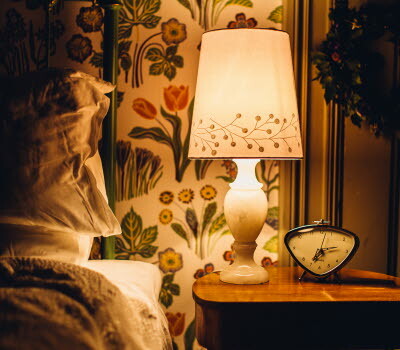 In the evening a two course dinner will be served in the restaurant, Brygghuset, and after a good night’s sleep you’ll find a breakfast buffet laid out ready for you. Go on a prawn fishing trip in Kosterhavet. You’ll be picked up by a traditional fishing boat on the jetty outside the hotel. 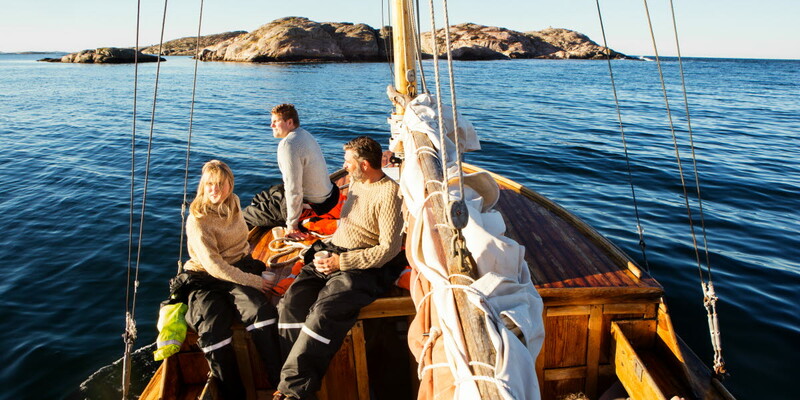 During the voyage out to sea you’ll discover the best of Bohuslän, with its amazing scenery and rich wild life. On the boat you can of course order something tasty to eat and drink. Out in the Koster Fjord you’ll meet a trawler about to pull up its catch. When the nets are up you’ll board the boat and enjoy the freshest prawns you’ve ever eaten. A fantastic experience and a memory for life! 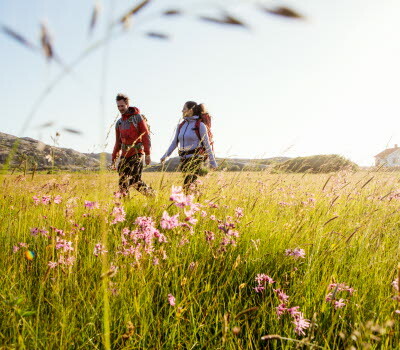 Combine the activity with a lovely stay at the hotel.